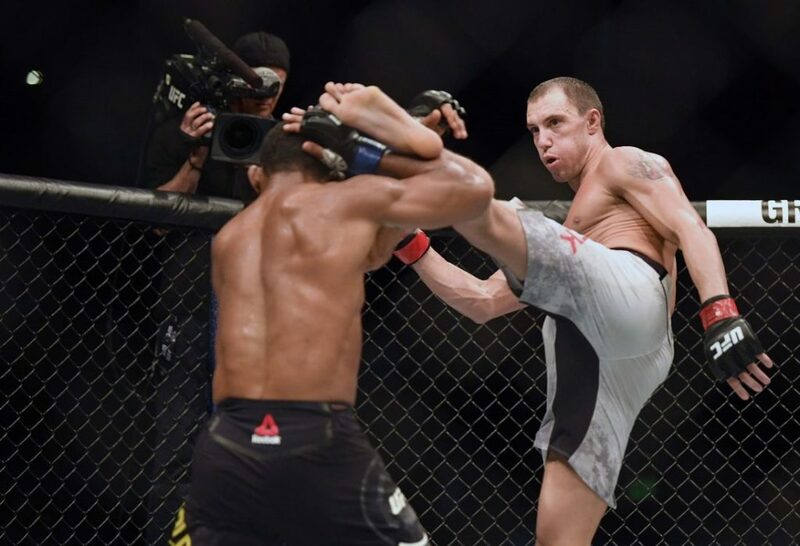 Has James Vick's stock fallen after an uninspiring victory against Francisco Trinaldo at UFC Fight Night 126? In last week’s podcast, I boldly claimed that taking James Vick over Fransisco Trinaldo at UFC Fight Night 126 was the easiest money you could make. My colleagues didn’t go as far, but also believed Vick to be the heavy favorite. Yet after winning a close decision over the aging veteran, his stock may have actually dropped. 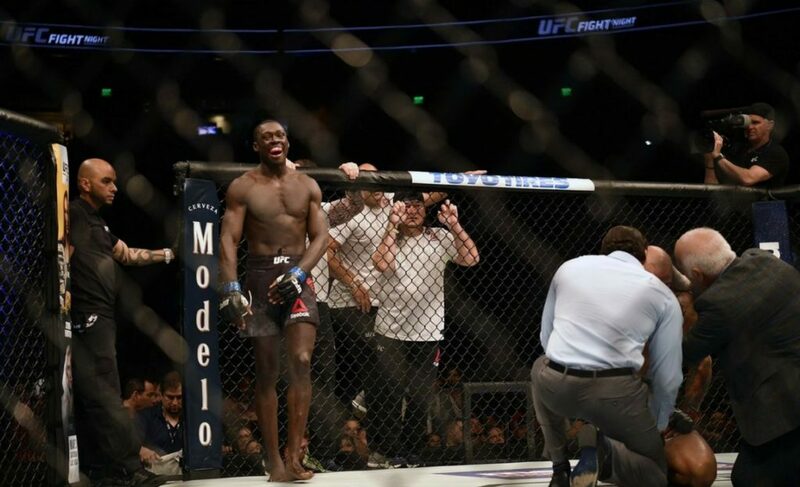 At 6′ 3″ with a 76″ reach, Vick would be quite comfortable at middleweight. Not only does he cut reliably to 155, but he has the cardio to go the distance. He moves well with great power in his hands despite being a volume striker. If not for a loss and a prolonged absence from the cage, many believed Vick would be in the top #10 right now. Imagine a lightweight Luke Rockhold with an emphasis on boxing over kicking. It works pretty well when you think about it. 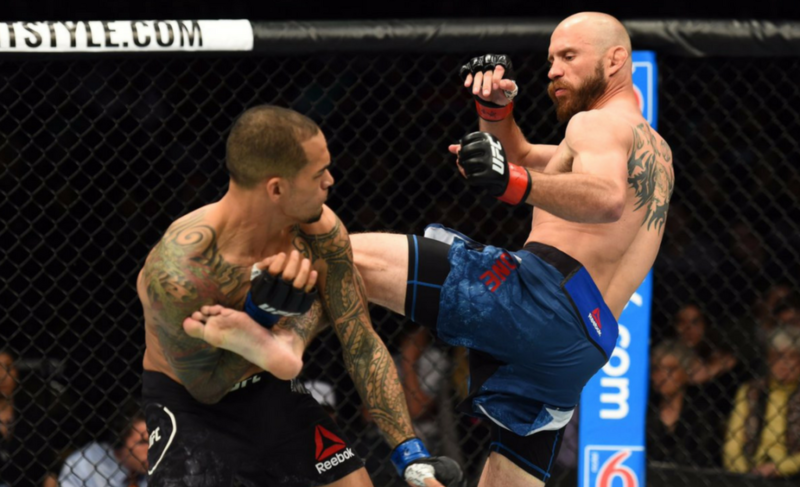 His size advantage compensates for the loss of range that comes with the sparing use of kicks. However, it’s easier to intercept an advancing fighter with a punch than a kick, so he retains the outfighting benefits. 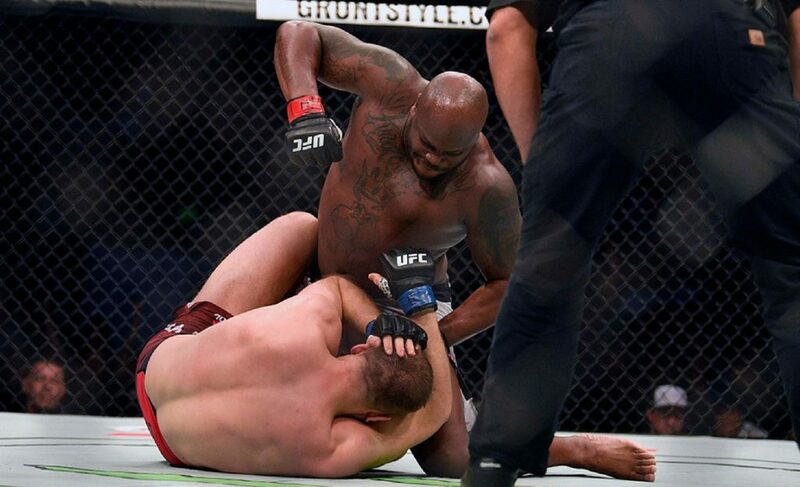 The story of the entire fight was Vick landing stinging punches and knees at range while Trinaldo struggled to close distance with his winging blows. While we won’t go as far as our colleague Nick, who claimed Vick may have actually lost the fight, we were surprised at how close it was. That is to ask why didn’t Vick finish Trinaldo? 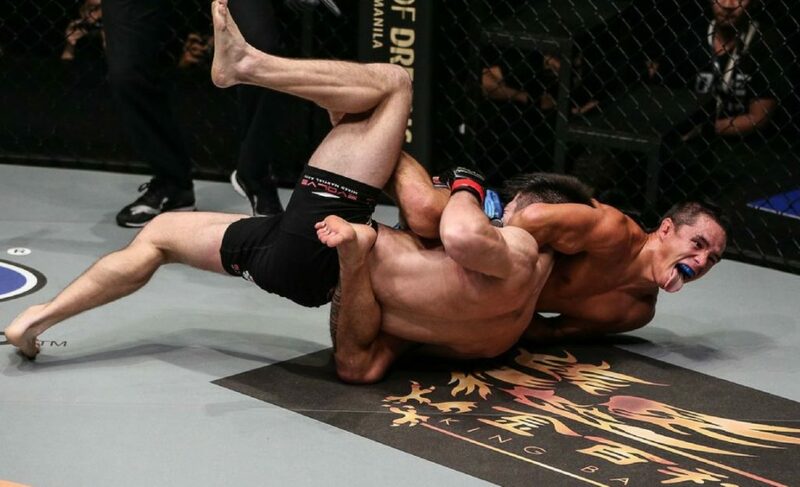 Apart from the guillotine he nearly fell prey to, Vick lit up Trinaldo. 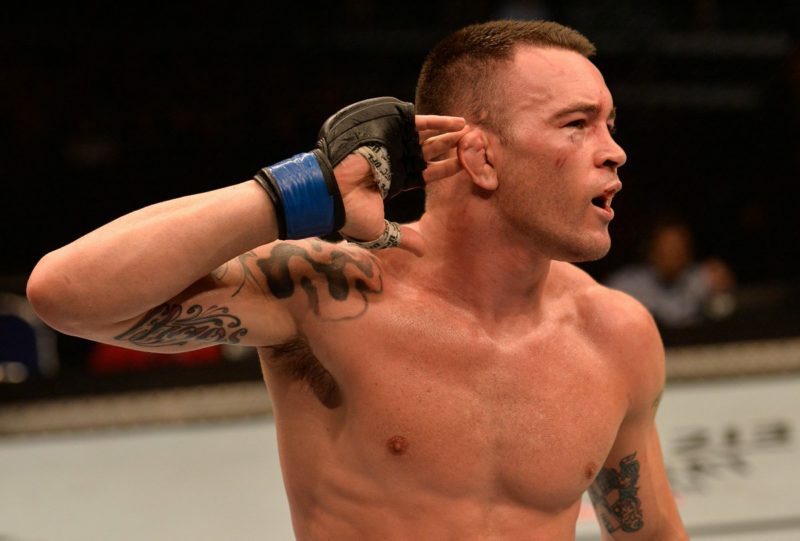 Yet, he pulled his foot off the gas in the last round even though the Brazilian didn’t show anything new. Perhaps an opponent who can survive his best shots earns enough respect from Vick that he won’t go all out? A bigger issue than this is that Vick is surprisingly easy to find with a left hook. To date, Vick’s only loss is to Beneil Dariush but what a loss it was. Dariush closed the distance on the towering Vick and smashed him with an overhand left. Vick would spend the remainder of the round eating huge hooks until a final left hand left him completely unconscious. Trinaldo landed this punch several times. He didn’t land with the kind of force that Dariush did, but he found Vick enough with a relatively unpolished left hand. Yes, Trinaldo whiffed way more than he landed but the connections were clean. There was one in the first round that didn’t stagger Vick, but caught him with enough force that he had to reset. As a boxer, Vick is diligent about guarding an opponent’s power right but loses concentration on the left. This is bad news for a man whose division is full of destructive southpaws. Trinaldo should have been his stepping-stone to a top #10 fight. But Vick has gone from an unheralded contender to a guy that deserves his status muddling around in the top 15. 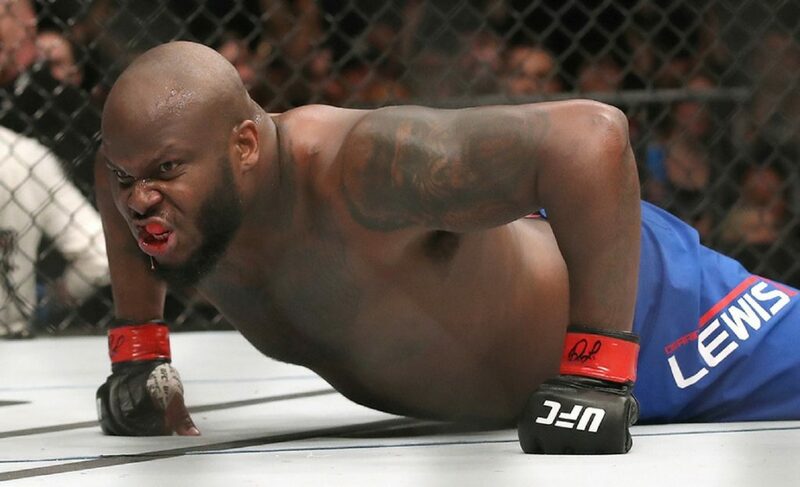 If we can convince Michael Johnson to step back to lightweight, we’d have a compelling fight on our hands. Johnson is quite beatable, but he has a lightning quick left counter, so we’ll see if Vick has what it takes to survive at lightweight. What a pity. Vick was one of the few hype trains I had a round-ticket for.